In home teeth whitening is a cost effective, slow and safe procedure in which we prepare custom made trays and dispense the suitable whitening gels. In most cases great results are achieved within 5-7 days. Pola Office in chair whitening is a breakthrough whitening system. Pola Office is a hydrogen peroxide based in-office tooth whitening system which requires minimal chair time. It is a neutral pH gel and contains desensitises to maximise patient comfort. Pola Office has been clinically proven to safely whiten your tooth in 4 x 15 minute sessions – which is only 1 hour of your time! The results will vary from person to person dependent on current colour of teeth and when your last clean was! We usually encourage to have a clean prior to commencing the in chair whitening; so we can maximise the best results possible for you. After being determined as a suitable candidate we will whiten your teeth instantly, so that you walk out with a whiter smile. 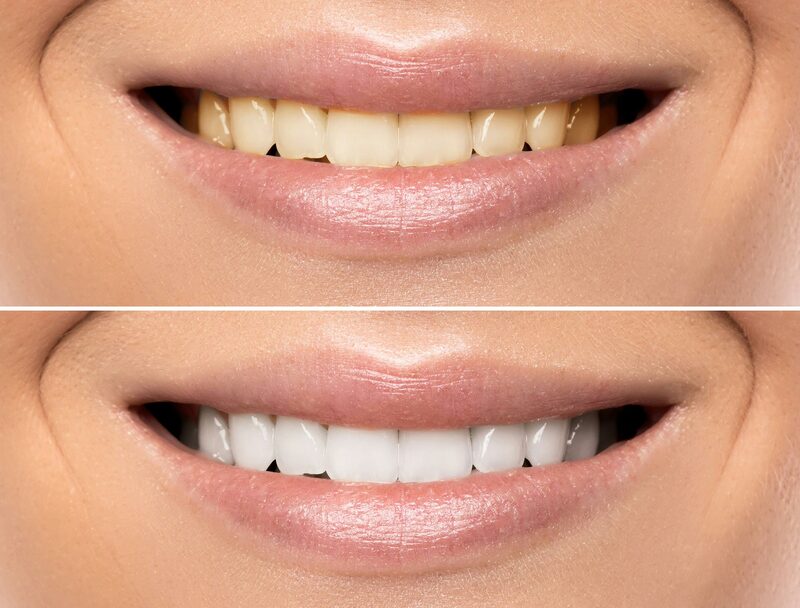 If you would like further information about our in chair whitening and our take home whitening kits, contact our friendly staff today who can help you come closer to your dream smile! $	275 Do it yourself!